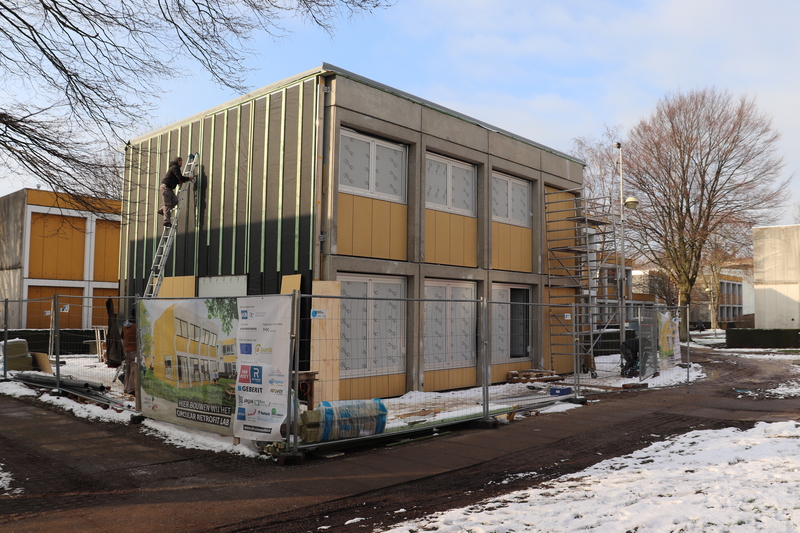 As a follow-up to the CERAACTIVITY # 5 conferences “RE-EMPLOYMENT: CIRCULAR IDEAS FOR ROLLING PRACTICES”, we invite you to visit a BAMB (Buildings As Material Banks) project. This is the conversion of a former student residence of the VUB following the principles of Reversible Building Design (RBD). The objective is, in the future, to be able to easily transform and renovate existing modules according to new needs, while reducing the production of demolition and construction waste. The visit will be divided into three parts. At first, a general presentation of the project. We will continue with the visit of the experimental laboratory. And in closing, visit the renovated building and freshly finished according to the principles of the RBD.